Microsoft Corp. announced Tuesday that it’s rounding out its mobility strategy around business intelligence with the acquisition of a Canadian vendor. The company confirmed that it has acquired Datazen Software, a Toronto-based developer of mobile business intelligence and data visualization solutions for Windows, iOS and Android devices, as well as HTML5. According to Kamal Hathi, partner director for cloud + enterprise at Microsoft, the acquisition will accelerate Microsoft’s Power BI strategy to help organizations create a data culture with accessible tools that allow them to get business value from their data wherever they are, on whatever device they’re using. Based in downtown Toronto, Datazen was founded in 2002 as ComponentArt, a developer tools vendor for UI and data visualization technology. Working with this technology led it to develop its own mobile BI solution, which it launched as Datazen in 2013. Within 12 months, Datazen had reached over 40,000 users. In a blog post of his own Tuesday, Datazen CEO Miljan Braticevic said their product team was “thrilled” to join Microsoft and reflected on the company’s evolution, particularly over the last three years as it developed and then launched the Datazen solution. Braticevic assured Datazen customers that its entire product stack will continue to be available in its current form, and is well positioned as a mobile BI solution for customers who need a solution that is implemented on-premises. According to Microsoft’s Hathi, SQL Server customers love Datazen because it is optimized for SQL Server Analysis Services and the overall Microsoft platform. SQL Server Enterprise Edition customers with version 2008 or later and Software Assurance can now download the Datazen Server software at no additional cost. 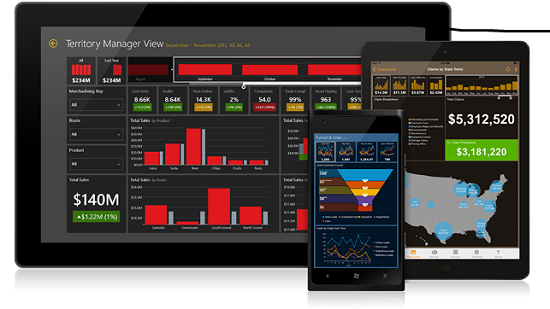 Hathi added that the Datazen technology will complement Microsoft’s Power BI cloud-based business analytics service.